UNITEK 10-Port USB Charging Station Just $52.79! 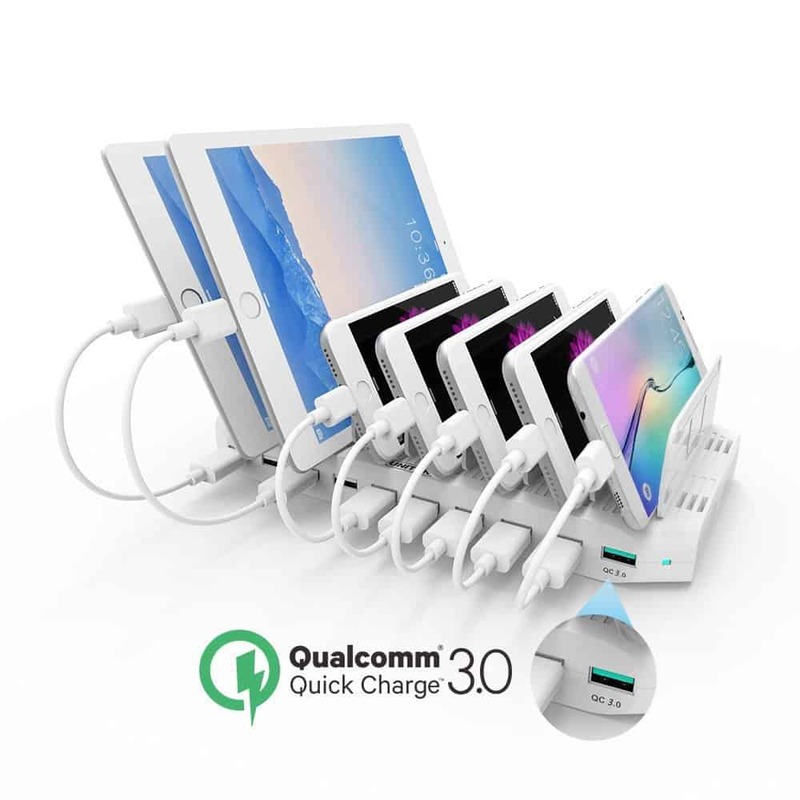 Charge up to 10 USB devices simultaneously with 1 power supply! This UNITEK 10-Port USB Charging Station available right now for just $52.79 lets you do just that. You know what that means? No more fighting for a place to charge a device. It will also help you clean up and organize your devices. This charging station supports 8 iPads at once. The detachable dividers adjust width easily to any size you need. You can charge your ipad or iphone even they are in the cases. Use promo code I8WXS4BU at checkout to bring the cost of this item from $65.99 to $52.79. That’s $13 less or 20% off.